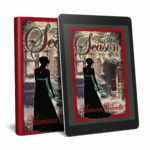 Celebrate the season today with a great holiday read, 'Tis Her Season, Book 2 in the Sailing Home Series. 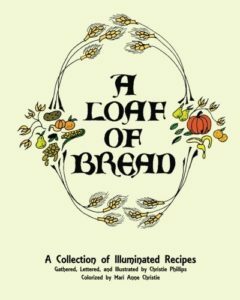 Or, pick up a special holiday gift for the baker in your life—A Loaf of Bread: Collection of Illuminated Recipes. In the 1970s, American artist Christie Whaley produced a hand-lettered, illustrated compendium of bread recipes from around the world, A Loaf of Bread. In 2014, thirty years after her untimely death, her daughter colorized the original black-and-white pages and re-released this stunning collection of illuminated recipes. Traditional bread-baking methods in many delicious variations—Portuguese White Bread, Orange Bread, Cornbread, Sourdough Bread, and more—are presented in the finest tradition of American folk art, suitable for framing and perfect to accompany your next meal. Join Mari's Street Team Yes, Please! Copyright Mari Anne Christie. All Rights Reserved.